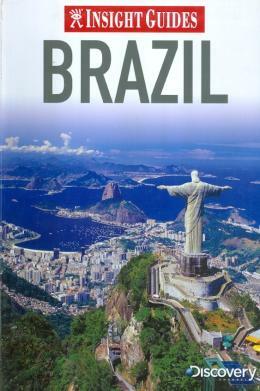 This brand new edition Insight Guide to Brazil features a wealth of inspiring full-colour photography, including double page spreads of some of the most outstanding views. The top ten sights are identified to show you the very best of this diverse country and to help you plan your trip priorities. A ´Best of´ section highlights the most unique experiences Brazil has to offer, along with personal recommendations on what to see and do. An in-depth ´Places´ section covers the entire country region-by-region, with all the principal sites cross-referenced by number to the accompanying full-colour maps. Additional maps inside the front and back covers enable instant orientation and easy navigation. Colour-coded sections cover history and interesting features on everything from ´Baroque Architecture´ to ´Riches of the Amazon´. A comprehensive ´Travel Tips´ section details transport, accommodation for all budgets, eating out, activities, and an A-Z of other practical information, including useful contact numbers, to ensure your trip goes smoothly. The unique combination of insightful exploration alongside practical advice means that this guide truly is a pleasure to read before, during and after your visit.